Earlier this week we were pleased to see fresh frogspawn in our garden pond. We think this must be from returning adults from the tadpoles we had a couple of years ago. 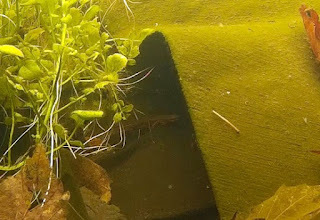 To try and see what was happening I left my waterproof camera running for half an hour a couple of days ago. 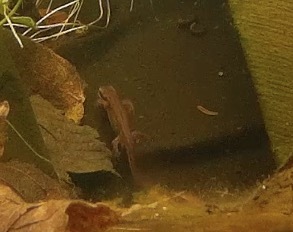 In the small part of the pond it was aimed at I got footage of two very small newts moving about. 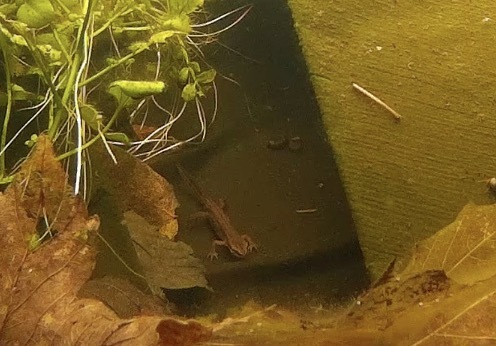 We have seen bigger newts a year ago so we can only assume these are offspring. I hope they don't eat the frogspawn.